For applications that require a high level of reliability, MIL style testing consisting of electrical and environmental stresses are added to the production process of the resistors in order to screen out and identify any parts or lots that exhibit variations in their performances. The level of testing that is required for specific applications is dependent on how critical the circuit is to the overall objective of the project. The testing of the parts may vary depending on the requirements of the specification; however the tests are usually separated into groups, some of which are screening tests performed on 100% of a production lot, while other lots are destructive tests that are performed on a sample of units from within a specific lot in order to guarantee the performance of the rest of the lot. The Defense Supply Center of Columbus, DSCC, maintains a collection of qualified military specifications, the combined of which comprise a Qualified Parts List, or QPL. In order to be qualified to supply parts to a MIL spec, continuous testing of the production process is performed, and the results submitted to DSCC for approval. A third party review of the performances of the product line allows for the identification of variations in the production processes which may affect the performances of the product, guaranteeing consistency regardless of the date of manufacture of a QPL component. One of the higher levels of MIL spec require a constant calculation of failure rates based on the amount of parts which are tested. These specifications, known as Established Reliability or ER level parts, are guaranteed to perform below a specified failure rate. For example, the RNC90 resistor series made by Vishay Foil Resistors is qualified to be better than 0.01% per 1000 hours failure rate. For applications used in space projects, a more specific and relevant testing pattern that was developed by NASA may be used as a basis. The EEE-INST-002 guidelines, or Instruction for EEE Parts Selection, Screening, Qualification, and Derating, are used as a basis for the development of several specifications which use foil resistors. By subjecting the resistors to the mentioned sequence of tests, the confidence level of a part to perform in a critical space application is improved. NASA developed the EEE-INST-002 guidelines to be flexible enough to accept any technology and part type, for which Vishay Foil Resistors has responded to with 5 specifications suggested for these types of critical projects. Some military applications require either less stringent tests, or a part which is not qualified to a QPL specification. The Defense Supply Center of Columbus also maintains several up-screening plans oriented around products with high demand that have not been QPL qualified. These specifications, known as DSCC specs, consist of a 100% screening test, known as Group A testing, and also a destructive series of tests known as Group B testing. DSCC specifications are easily recognized by engineers, distributors, and QA organizations, and come in a wide variety of part types. 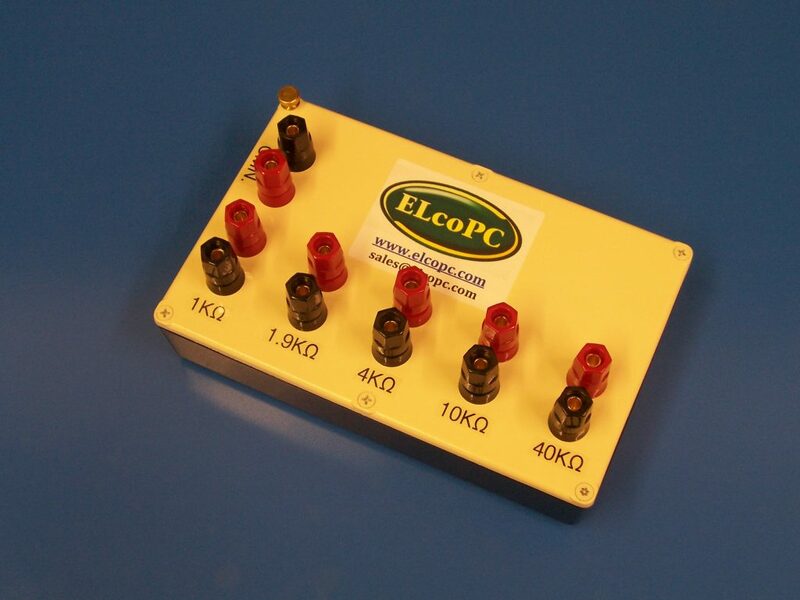 For each level of testing required, our resistors are able to be tested to the desired specification. By having Vishay Foil Resistors test and supply qualification conformance inspection data relevant to each specific lot, the end-user is guaranteed that the resistors supplied with every lot meet the original design parameters for the relevant application. The RNC90Y established reliability resistor has been the benchmark for high precision established reliability discrete resistors since 1982. In 2000, we achieved a technological breakthrough with the introduction of the Z201 resistor with a TCR of 0.2 PPM/°C. This breakthrough has allowed Vishay Precision Group to introduce the RNC90Z established reliability “R” level resistor, with a TCR limit of ± 2ppm/°C over the extended range of – 55°C to + 175°C, this being a significant improvement over the existing RNC90Y’s ± 5ppm/°C TCR specification.